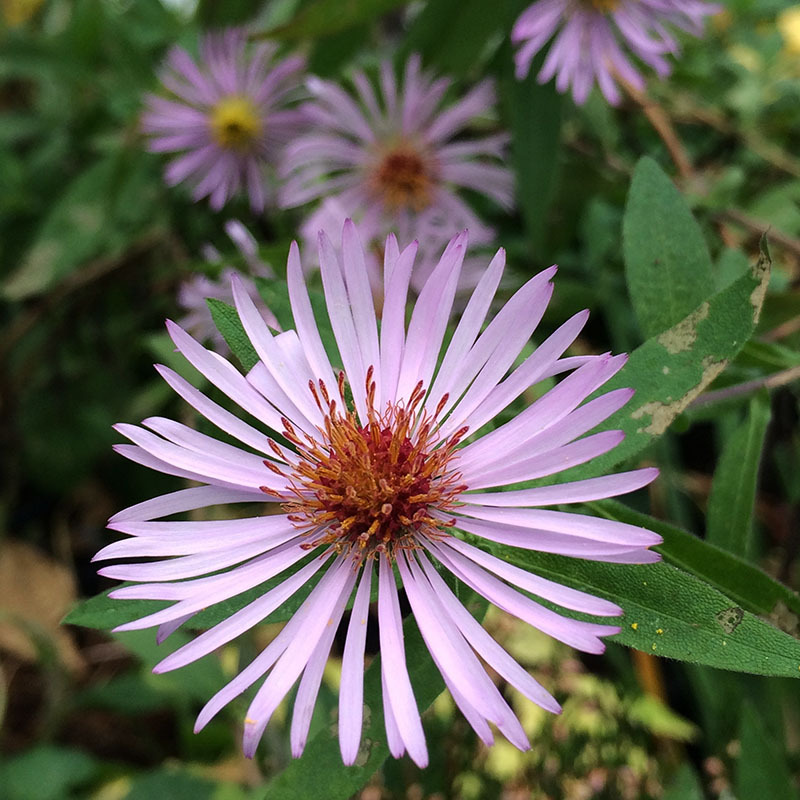 This rarely offered native aster blooms at the most unexpected time, late October into November, persisting through frost and freezes, offering honeybees and pollinators nectar at a time when little is there for them. Rambles over a trellis, fence, or in deciduous shrubs and trees. Can even grow as a groundcover where the stems interweave to form a lattice. Full-part sun. Height 6-15′. Spread 2-4′.Drought tolerant. Zones 7-9.